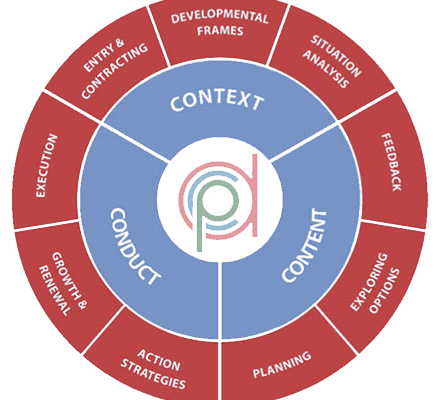 D’Onofrio Consulting Partners’ Leadership Coaching is made up of three distinct phases, representing Context, Content and Conduct activities. Each phase is tailored to meet the specific needs of each executive and his/her organization. It includes a customized program of cutting-edge assessments. For newly appointed executives who need to integrate quickly into new corporate cultures, teams and leadership capacities. Succession Coaching: For senior leaders preparing for a transition to a C-level role, as well as high-potential talent who would benefit from a proactive approach to accelerating the development of critical leadership competencies. Performance Coaching: For leaders who would benefit from optimizing their performance by developing specific competencies. It is also appropriate for leaders who are facing derailment. Cross Cultural Coaching: For leaders who are are working across cultures, including leading global teams virtually. D’Onofrio Consulting Partners will work with you to develop an effective, outcome-based plan that addresses individual, team and organizational needs and achieves breakthrough results.